Listening to these firms, on the surface it appears that all of them are pretty solid and happy. Dig a little deeper and like every firm, they have things that need to be addressed, like succession planning, recruiting and retaining talent, technology, growth and plenty of others. Regardless of the issues, the main concern I have for these firms is the lack of a written strategic plan that actually addresses these issues. After looking at my initial list, I narrowed it down. Accountability. It is much easier to hold the team accountable to written goals and objectives. If it is written down…you can’t hide from it! Team buy-in. 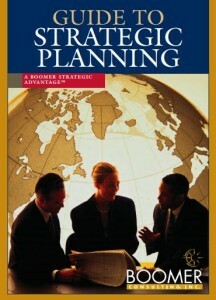 If people can contribute to the planning process, they are much more likely to buy-in to the goals. Buy-in is extremely difficult to achieve if firm goals and initiatives are not written down. Improved Communication. Firms that have written plans, tend to have more open communication with their teams because they have a basis for goal setting and evaluations. Allowing team members to participate in discussions regarding the plan will increase the chances of meeting the goals on the plan. They can see what the expectations are for the firm and how they can assist in meeting them. Laser focus. A solid plan allows for firms to focus on the most pressing items without getting lost in all the extra details and fluff. The best strategic plans are to the point and focused on items that will move the team forward on difficult situations. Re-energizes your team. A strategic plan can help energize a team that may be stuck in a rut or doesn’t seem to be moving forward like they should. Great plans are built with items that will push firms to do things outside the normal comfort zones of the team. More often than not, this produces a positive boost to the team as it can pull them out of the normal routine. There are many more reasons to have written accounting practice strategic planning in place and every firm should muster a list of several. Accounting practice strategic planning, while crucial for every good firm, shouldn’t be so demanding that it creates a gridlock to progress. Every practice should have a strategic plan that flows from its culture and vision. Having the plan floating around inside the minds of the Partners doesn’t help the rest of the team as they work, so develop a written plan, it will be worth it. 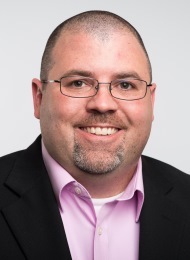 As a Senior Business Development Specialist for Boomer Consulting, Inc., Eric Hunt is responsible for the execution of strategic business development goals, building key customer relationships, identifying business opportunities and maintaining extensive knowledge of current market conditions. Eric’s primary focus is on the expansion of Boomer Consulting’s major service communities and consulting services. Eric anticipates future challenges with an eye open for possibilities.